Noonan: Will We See A New Gold-backed Currency? 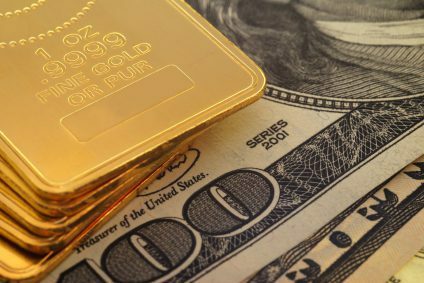 There has been a call for a new gold-backed currency to replace the waning Federal Reserve petrodollar as the world’s reserve currency but, while it will undoubtedly play a significant role, gold will not likely be linked to one specific country as a new world reserve currency. This article explains why not and what that means for the future price of gold. The above are edited excerpts from an article* by Michael Noonan (edgetraderplus.com) entitled Gold And Silver – Future For Gold As Uncertain As It Is Certain. Silver Will Lead/Follow. …For all the gold China has been accumulating this past decade, it is unlikely that China will back the yuan with gold. It would be too problematic for what it would do to its economy. Russia has been a lesser buyer of gold, but it also has tremendous reserves that it mines every year, adding to its holdings. Its natural gas resource has taken center stage as a backing for the ruble. Russia will also unlikely want to back the ruble with gold. a stronger possibility lies in contractual ties amongst all these countries, not a single nation gold-backed currency. Expectations for a gold-backed currency may be misplaced. It could happen, but it seems unlikely that the largest holders of gold have an interest in putting themselves at an economic disadvantage by pricing out their exports. However, within whatever the realm of uncertainty for gold’s specific role is, it will undoubtedly remain pivotal. Rising from the ashes of central banker suppression for the past several decades, it is certain that the price will go higher. The best way to participate is to be prepared. The best way to be prepared is to already own physical gold and silver. The handwriting is on the wall. Many say that the charts are irrelevant, but no one is pointing to anything else that is. For as long as we have been following markets via charts, those of gold and silver have told the most accurate story in the face of news and events that would suggest otherwise. Before gold can rally, it has to first turn the trend from down to up. We see no evidence of a change in trend. The bearish spacing is repeated, again, as a reminder that it represents a weak market within its down trend. How anyone can posit a bullish scenario from what the charts show flies in the face of known facts, as depicted in the charts. 1. Noonan: What’s It Going to Take to Cause a Sharp Price Reversal for Gold & Silver? 11. Is $5,000 Gold Necessary to Re-establish A Gold Standard? 13. Shift From U.S. Dollar As World Reserve Currency Underway – What Will This Mean for America? Previous Would Gold & Silver Stocks Be Affected By Major Decline In S&P 500? 1. I’d pick something that I had lots of, that others only had a little of so that I would be even better off than I was already. 2. I’d make sure that whatever we shifted to was much harder to counterfeit, so they others could not game the new system. 3. I’d make sure that all my friends had enough warning of the upcoming shift so that they could “get aboard” so that I would not create enemies that were mad at me for not telling them what was coming. 4. I’d make sure that the new standard was easy to understand, so that even those with little education would feel like they knew how the old system related to the new system. 5. I’d make sure that the new standard was “trackable” so that Gov’t. could make sure that nobody was able to hide money from taxation, which would be required for Governments to accept any new fiscal system, because then they would also profit from adopting it.